On Friday 27th May, I got my relaxed hair (which was about 90% of my hair) cut off. Wow, I was nervous, but then when I sat in the stylist’s chair, I was cool. I closed my eyes for most of the time but when I opened them, I didn’t cry…I smiled! Darla (bless her!) came all the way from Midrand to be my support and was she ever! As he was cutting my hair and it was getting shorter and shorter, Darla was saying how my face was just opening up; she could see my big eyes, my long lashes, my lips etc. Then she said something that just gave me a light bulb moment; before I cut my hair, she said the first thing she saw was my hair, be it weave, braids whatever, it was so big and occupied so much of my appearance, it was the first thing she saw. And for the first time (in like 8 or 9 years of knowing me) she saw me. WOW! I had NO idea! 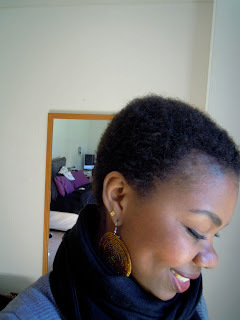 Yes, I loved my hair, I loved a lot of things but I had no idea that my hair took over so much. I never wanted people to see my hair first, then me. I still don’t want that but that comment has stayed with me, and I think it will for a long time. I still love big hair, God knows when my hair grows out, I’m hoping it’s MASSIVE! But for now, that’s gonna be my personal mantra. 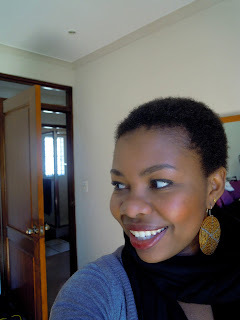 Lol, the chicks at the salon seemed to be looking at me like I’m crazy, cos I had a lot of hair and I just cut it off. But they also didn’t know the preparation I’d made for it and I’m so glad I did. Then when it was all done, the stylist said to me that it suits me, it’s funny how we all keep doing things that don’t suit us. And afterwards while Darla and I were having tea and cake, quite a few peeps were just looking at me as they walked past. One guy even turned around and almost tripped on himself. Now, I didn’t know if that’s because of my new look or what. Cos until then, I’d only had Darla and the hairdresser’s comments to believe. Then Kev came to pick us up and he smiled and said I looked good (which as the days have gone by turned into you look REALLY good) and that it looks much better than he expected, very feminine. That’s when I knew, okay… Kev won’t lie to me (the last time I relaxed my hair, he kept quiet…no comment til I probed it out of him…he was not feeling it!). 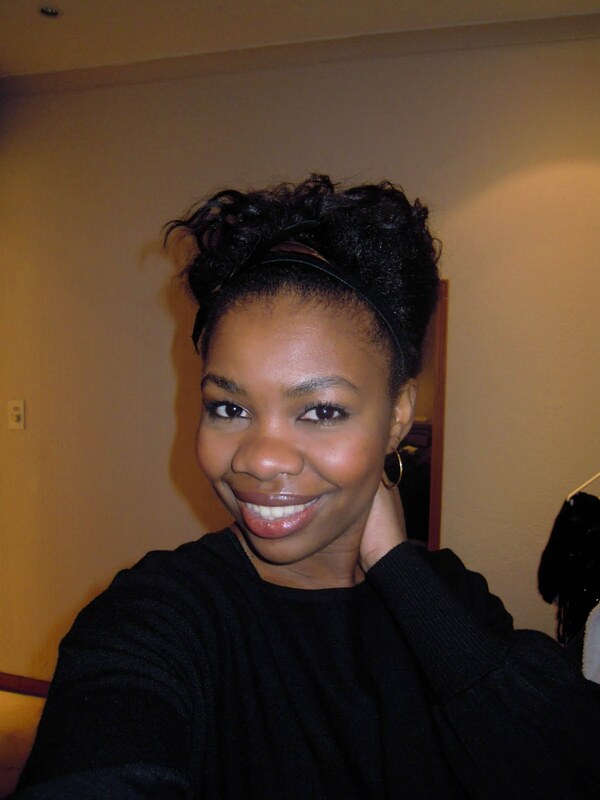 My going natural has all come at the right time. I have to change my diet otherwise I might end up diabetic, I’m beginning my life with the love of my life, I’m really feeling the adultness of being 25 and feeling confident in my choices.